San Luis Obispo has an ideal climate for lush and full vegetation. With temperatures ranging from the mid 40’s- 70’s year round, plants can thrive in a rich environment. Few understand the San Luis Obispo climate as well as the experienced team at Dan’s Landscaping Company. We have a proven background in exterior landscaping for both residential and commercial properties across Central Coast. We work together with our clients to create innovative landscape and hardscape concepts that bring out each property’s distinctive features. Call us, your San Luis Obispo Landscaping Company, today to find out more about our services. 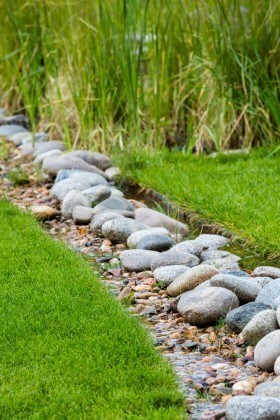 Hardscapes are stone or concrete surfaces that decorate or provide access to other areas of your property. For instance, Paver Patios are an added feature for both homes and offices. Since paver patios are individual stones pieced together to form an entire design, the options are endless. They are cost effective, easy to maintain, and are available in different shapes, sizes, and material. We also build custom pathways which give access to targeted areas of your yard. This is great to add a dimension to your scenery or keep high traffic off the lawn. Retaining & seating walls give you a distinctive feature that is both functional, elegant, and provides extra seating for social events. Two instantly eye-catching options that set your landscape apart are fire pits and water features such as fountains or garden ponds. Fire pits are the perfect social centerpiece that works throughout the year. They can be incorporated into your current design or stand alone. Fountains and water ponds give your garden a taste of elegance help to create a serene setting. All additional landscape features are designed and installed to suit your personal taste. Exterior lighting from Dan’s Landscaping Company serves a number of practical and aesthetic purposes. It provides security for your home throughout the night by deterring trespassers. It also illuminates dark pathways and sidewalks giving your family and guests accident free passage. Last, it provides illumination during your social gatherings. Enjoy more time outside with your family and guests with a well light patio. Your San Luis Obispo Landscaping Company can installs outdoor lighting that is customizable to any situation. Whether your lighting is elevated or set in rows on the ground we can implement the perfect lighting for your landscape. Two great options for irrigation are overhead sprinklers and drip irrigation. Sprinklers are most effective when used to sprinkle lawns, while drip lines emit the right amount of water and pressure for garden beds. A drip system also uses less water throughout the day. If you have existing irrigation, new sprinklers can be installed to support what is already there. There are several benefits to installing an irrigation system in your home or business. Irrigations systems typically last many years and require very little maintenance. They add to your property’s value by keeping your greenery looking fresh and vibrant. They reduce time needed for yard care. Choose Dan’s Landscaping!When it comes to searching for professional landscapers in the San Luis Obispo area, none compare to Dan’s Landscaping. Dan and his team were punctual, professional and created a masterpiece in our backyard. Initially, Dan spent quality time with us as we hashed out our ideas for our backyard. Those ideas were followed up with detailed measurements and assessments. This ensured that our backyard would not only look good but be engineered for a lifetime of enjoyment. Dan’s team was fantastic! Always on time, always kind and friendly. The work done in our backyard exceeded our expectations.Thank you Dan’s Landscaping for creating such a wonderful backyard for us! Very friendly and helpful to work with. I had a vision of what I was looking for and Leah came up with a plan to make that happen. The follow up to check on the work was great too. They stand behind their work. I like that and would recommend the company to others. We oversee many commercial and residential properties in San Luis Obispo and Shell Beach. We have used Dan’s Landscaping for over 10 years for everything from building fences and installing sidewalks to installing and maintaining landscapes. Their excellent work has been instrumental in improving the appearance and function of every property. They are easy to work with, consistent, and good at what they do. Their costs are very fair. You always know when you hire Dan and Leah that the job will be done in a timely manner and be done right. When it comes to landscaping professionals, you need to look no further than Dan’s Landscaping. I have had the pleasure of working with Dan’s Landscaping since their inception and they are the best landscaping company I’ve worked with in my 30 years of managing commercial real estate. Dan’s Landscaping handles the landscaping needs of our extensive portfolio of commercial properties, including installation, maintenance, repairs and guidance. Dan’s Landscaping doesn’t wait for us to inform them of a problem, they provide a proactive approach to landscape maintenance by providing feedback as to how the landscaping at our properties could be improved. 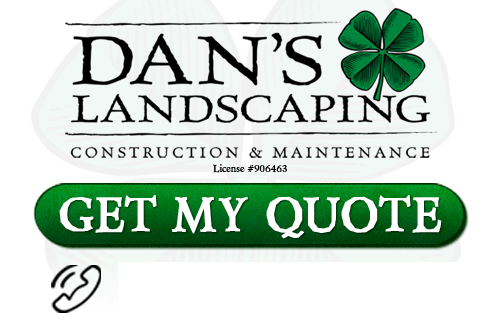 They are also very responsive and address any issue that comes up in a timely manner…….Thanks Dan’s Landscaping! Dan's Landscaping has been taking care of our yard for over 7 years and we couldn't be happier with their professionalism, quality and reliability. Dan is easy to work with, he listens to our requests, and and gives great suggestions. We highly recommend Dan and his team. If you are looking for a San Luis Obispo Landscaping Company for the surrounding Central California area then contact Dan’s Landscaping Company at 805-550-5488 or complete our online request form.